This netting running board kit will secure access to a house net, using a F3030T netting. This netted running board will allow you to secure the access of your indoor house net by covering the space between the fixings and the boltrope of your house net. This running board will allow an easier access for young children, the risk of getting your foot stuck between the frame and the net's boltrope will no longer exist. It can reassure parents, who can leave their children to use the house net safely. 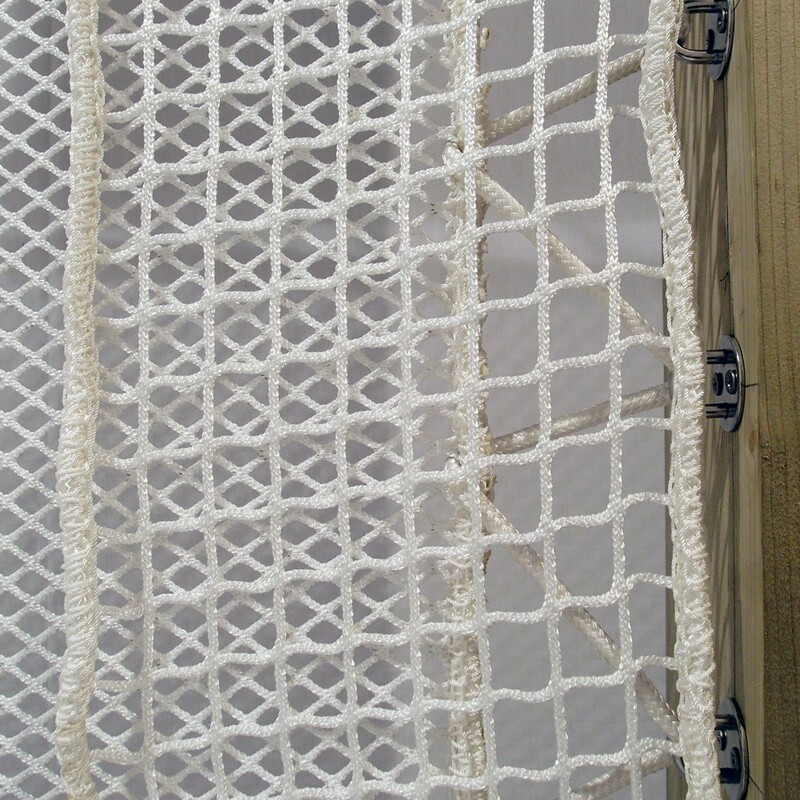 - A white net with a 30mm braided netting that will match your house net. The running board measures 1.5m x 0.3m: it will entirely cover the area between the fixings and the net's boltrope, offering a large enough space for children to easily access the house net. It is provided with a 6mm boltrope for maximum maintenance and solidity. - 4 A4 Stainless-steel shackles allow you to attach the netting running board to the net's fixing system. These shackles can be used inside and out. 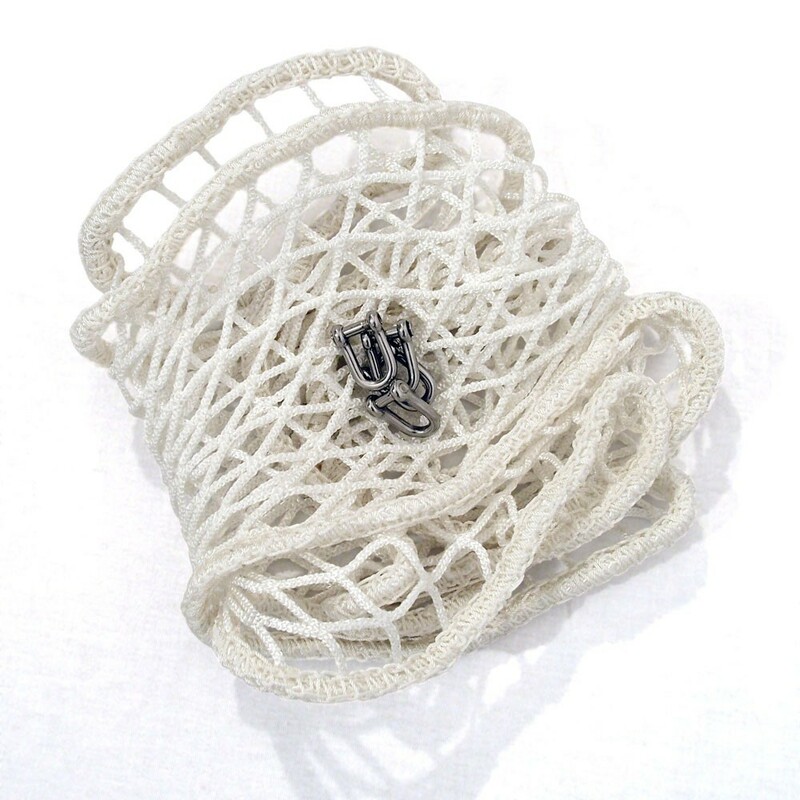 Is your net made with 13mm braided netting? Good news: we also offer this netting running board for this size netting. Check our product sheet out: Netting Running board kit F1313T. This kit provides you with everything you will need to secure the access to your F3030T House net.